Fairly easy. I only had to think on one but that's because I thought it was a trick question. This one was easier than the first one. I answered all of the questions correctly but it gave me a score of 886/1000. Maybe there's a timer? I don't know how I could have answered quicker. I answered #3 incorrectly but I think the question is incorrect. Do you agree? 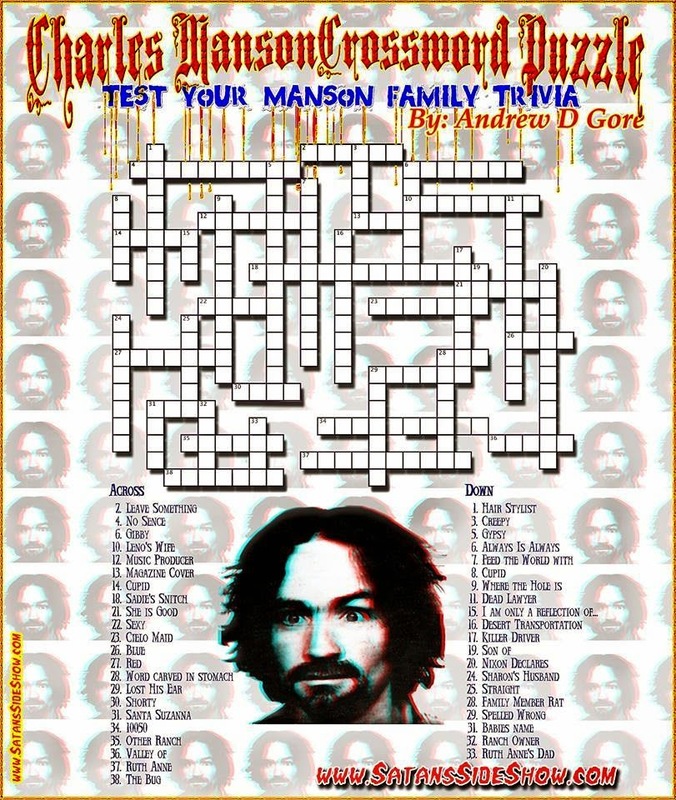 How about a Manson Crossword Puzzle? 1: You answered 9 items out of 10 correctly. The one I got wrong I answered Susan Atkins was not at Labiancas but the answer for that was Charlie according to this? Ok, I got it to work this time, I got 9 out of 10. WTF is up with quiz 3? 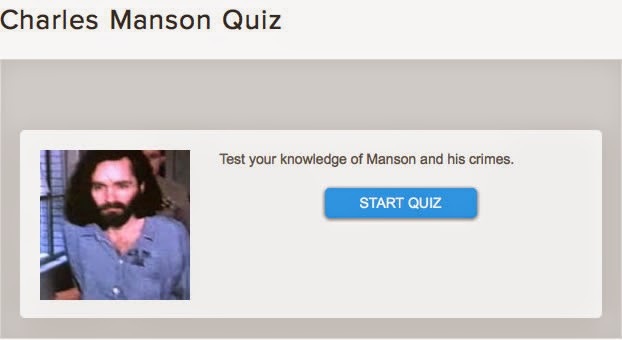 "True or False: Manson was not present for the Tate and LaBianca murders, but he was found to be responsible for them through conspiracy." False, he was not simply found responsible of conspiracy, he was convicted of first degree murder. "True or False: During the Manson murder trail, on (sic) of Manson's female followers protested by carvng (sic) an "X" into her forehead." False, it was a whole bunch of female followers. 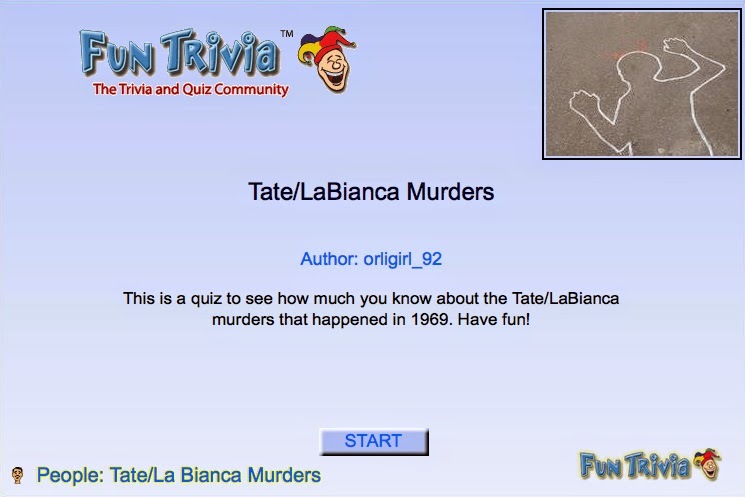 For question number 3 of the second quiz, I couldn't remember whether the Tate house killings began before or after midnight so, I selected (there were no murders). Apparently they all took place on Aug. 8 because, I missed the question. YES, Chat Charlie! Manson himself was not there physically at the Tate murders, but the whole idea of the Manson Mystique, according to the Prosecution, was that one Charles Manson had somehow acquired the esoteric POWER to actually be THERE in spiritual embodiment, in order to sufficiently "direct" the violent proceedings. For those who read the Dr. Dave postings, HE pointed to the Martin Luther "Reformation" which was actually a violent and destructive REVOLUTION against the Catholic Church and state (which were actually acting as one). There, all Luther did was put HIS beliefs in PRINT on paper. Because the "people" then reacted to HIS "writings" against the "church" and "government," HE was found guilty of blasphemy and the church went after him. dangerous "word." AND if you knew the whole story YOU could possibly realize that one Charles Manson IS "the most dangerous man alive." Of course, the "people" would have to UNDERSTAND what Manson was actually saying in order for HIM to be actively dangerous. AND that is why the "church and government" are sure to keep the "people," as a whole, IGNORANT of understanding even the simplest of things - like a "mortgage." Hans that's exactly what I was waiting for someone to say. The quiz is on the TLB murders. The first suspect was William Garretson. 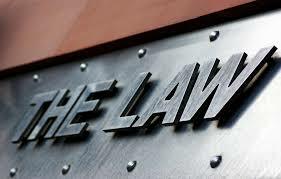 Bobby was already in jail for Hinman which is technically not TLB. Thanks Baby Beard! That one confused me too and you explained it for me. Thats the one I got wrong on quiz 2 also Matt (question 4) I didn't want to write it out before people had a chance to take them. EXACTLY folks: That is the question - DID the Hinman murder have anything to do with the LB ( Helter Skelter) ? THEN: Did the Bernard Crow shooting have anything to do with Helter Skelter ? THEN: Did the Shorty Shea murder have anything to do with Helter Skelter ? 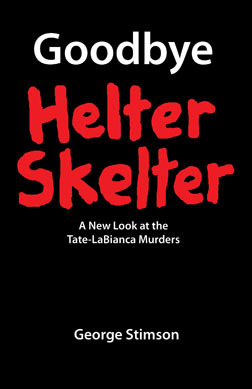 AND of course, What did the Tate house or the LaBianca house have to do with Helter Skelter ? The Prosecution's answer is: The Tate house was selected primarily because it represented "rejection" by the PIG'S "establishment." AND the LaBianca house was selected because it was a random target. THUS, "rejection" by record producer plus "let's kill ALL the people in ANY house equals BLACK and WHITE race WAR. Sounds like simple math to me. @ R Hendrickson..... If you believe their ,,To get Brother out off Jail,, motive. 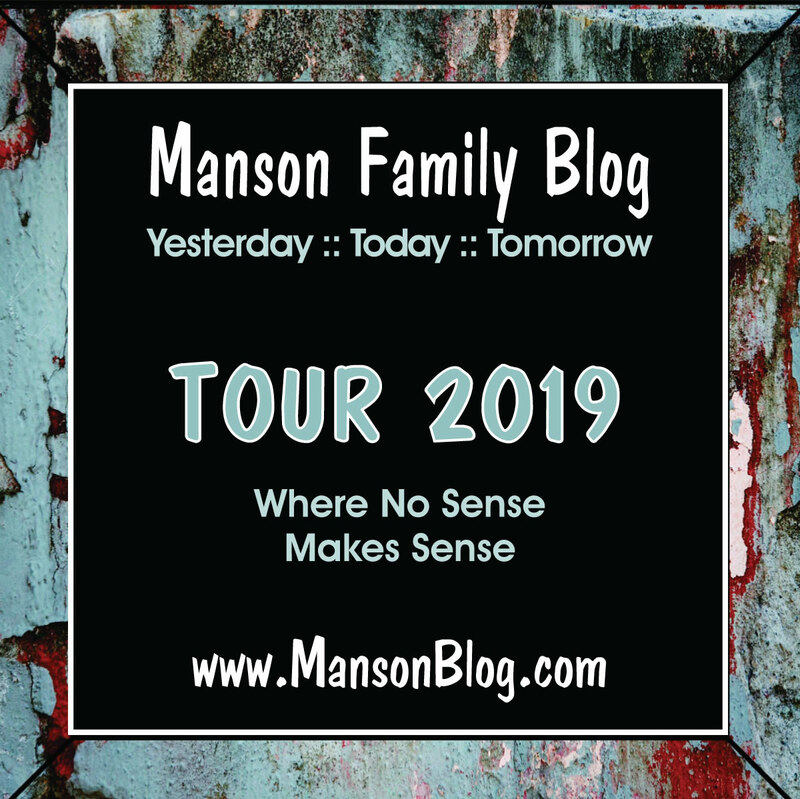 Then you can say that the Tate/LaBianca happened BECAUSE of the Hinman murder.... otherwise there was NO brother there in Jail to get out of Jail annyway.... or doesnt that make no sence at all ?? I never understood the whole "To get a Brother out of jail" thing. I could see if Bobby was imprisoned under some assumed (there's that word again) guilt but he was found with the murder weapon in the decedent's car wearing bloody clothes. These murders, if committed under the guise of that motive would've only added to the count of the guilty, not shown Bobby to be innocent. I agree Chats. It blows the GABOOJ theory to bits. Especially since they would have come to that decision as a group. Girls like Lynn & Sandy weren't (and aren't) stupid people. At some point before TLB went down I think someone would have said, "wait...". Have just finished the George Stimson book,"Goodbye Helter Skelter" and he is totally convinced that the whole TLB chain of events was to free BB ... I don't know,the more books I read, the more confused I get. The one that always bugs me is when people say that Manson never actually killed anybody ... Did he not take part in the murder of Shorty ? I know he was found guilty of the murder but he was also found guilty of first degree murder in the case of TLB ... Am I missing something ? Higgins, the part that gets me is Manson himself was convinced he had killed Lotsapoppa - and didn't/doesn't seem to mind being known as a physical murderer. YES, if they had waited even a week or so for TATE, it is likely that someone would have said beforehand: "Hey wait a minute, this Copycat thing is stupid," BUT remember "No sense makes sense" is the product of emotional, reactive non-sense-ical thinking. What keeps me thinking is: IF TLB was Helter Skeler and the other stuff had its own motives, then there were other violent acts and victims for different reasons which demands some plausible reasoning that there could have been many other ACTS which we still know nothing about. In other words, under HS there was a beginning and an end, BUT with a variety of motives involving some same and some different members - there maybe countless other bodies waiting for BUSTER to find them. Charlie, I read that book too. Although it was filled with good info, my opinion is that Stimson does not believe the GABOOJ theory. He does try to sell it, though because (again, in my opinion) he (like Schreck) seeks to absolve Manson from culpability. He didn't sell me or for that matter most of this blog's readers. Further to chatsworth charlie's initial comment, I too answered 9 items out of 10 correctly and the one I got "wrong" was about who wasn't present at the LaBianca's house. I don't get it. Charlie wasn't present for the actual killing but he was in the house and was responsible for restraining them until Tex, Katie and Lulu entered the house to do carry out the murders. I thought Sadie never left the back seat of the car until it was well away from the house. Is this a "trick" question or did the author of the quiz get it wrong? bucpaul2812, do you remember if you got this message after you completed the quiz? "You answered 9 items out of 10 correctly. Your score is 90%. Great job! You have a perfect score"
As you can see something is off about that scoring system! The Beausoleil question is a confusing one but yes, he was identified within 24 hours of the labianca murders as being connected to it. The question asks specifically about the labianca murders, not all the other tlb. Just Labianca. Officers Whitely and Guenther from LA went to the tate detectives showing the similarities to the hinman murder as far as writing on the wall. They also said they didnt believe bobby acted alone in the hinman murder. So, I guess he was a suspect right away by way of those detectives implicating the group he belongs to in the murders. Of course, the tate detectives laughed them off because they said "naw, we know whats behind these murders. They are part of a huge dope transaction"
What a dumb set of quizzes. One of the questions states Susan Atkins was at the LaBianca house for those murders and another states the same about Linda while saying she wasn't at Cielo. Maybe the quiz was made up by Daye Shinn !